Founded in 2001, Zadok Publications is an extension of Oliver Evangelistic Association, Inc.
We invite you to browse through our website and get acquainted. Zadok Publications is dedicated to publishing and distributing quality Christian material to advance "This Gospel of the Kingdom" until the Lord Jesus Christ returns on earth. 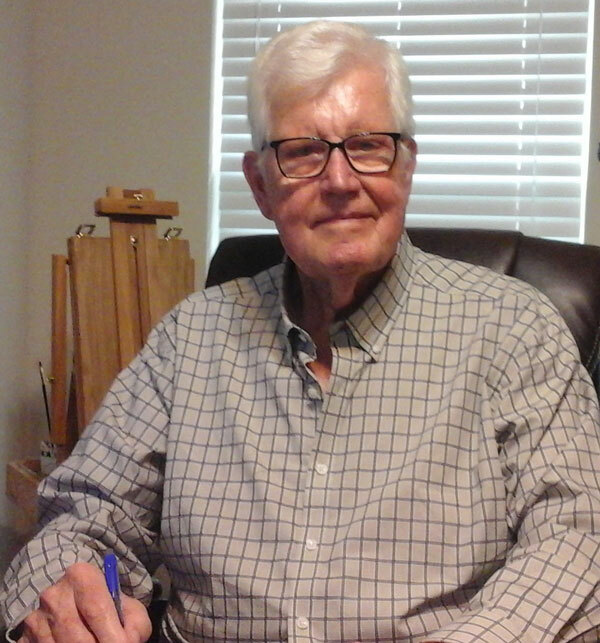 Dr. Oliver's Books are available in both Kindle Format and Nook Format. Available books may be viewed either on the "Newsletter Page" Button or the "E-Book" button at the top of this page. We have had many requests for videos of Dr. Oliver preaching/teaching concerning the books offered on this website. We are pleased to present a complete video library of Dr. Oliver's ministry. Click on the Videos button in the link bar at the top of any page, and it will take you to the video page where you will find all of our videos. 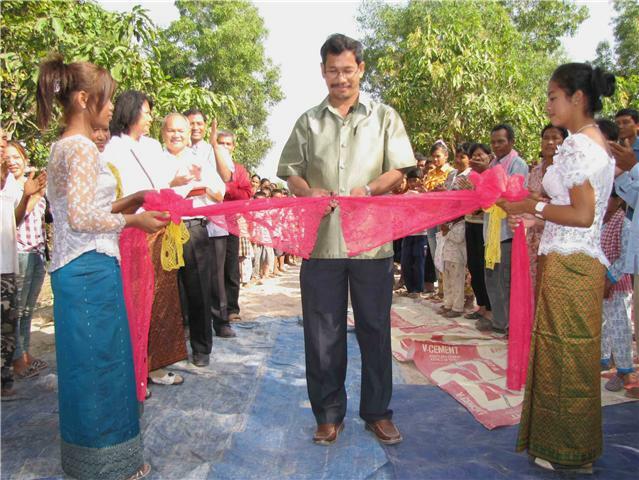 Pursat is the fourth largest province of Cambodia. 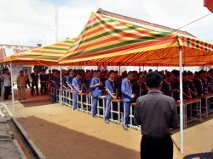 It is located in the western part of the country some 174 Kilometers from Phnom Penh. Its provincial capitol is Pursat City. 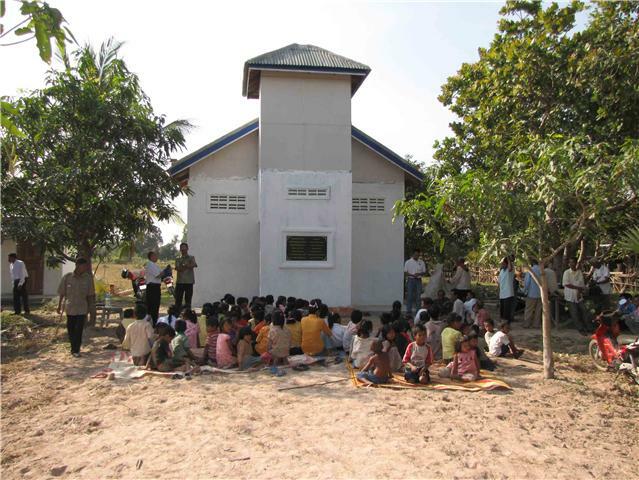 Oliver Evangelistic Association took on the project of building a Believer's Pavilion where the prisoners of Pursat Prison could meet for Bible study and worship out of the sun and rain. The warden of the prison granted a spot within the prison compound for this pavilion. Many of you have contributed to this endeavor, and the pictures below attest to your faithfulness in giving to help. Barnabas Mam, Regional Director of Asia for AFCI guided this venture. 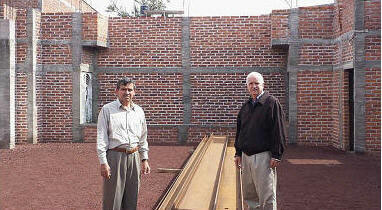 He reports being able to build three pavilions with the funds provided. Praise the Lord! 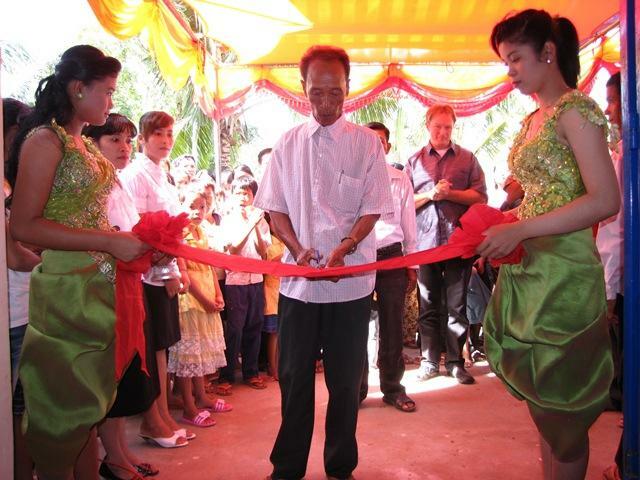 The Hope of Romchek Church in Cambodia was dedicated July 5, 2010. 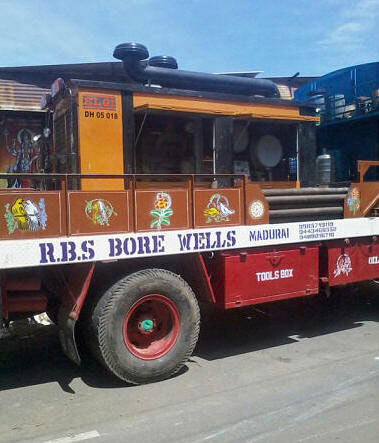 It was reported the village head and many other community leaders, as well as the local Christians, appreciated this addition to their village. 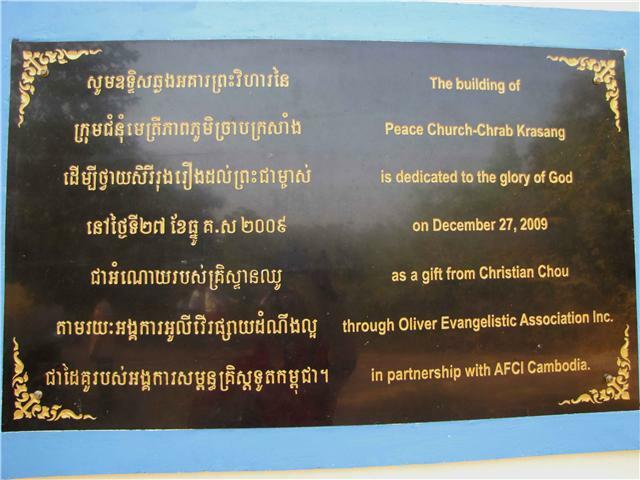 This church was a gift from Christian Chou through Oliver Evangelistic Association, Inc. Below are pictures of the church and the dedication. 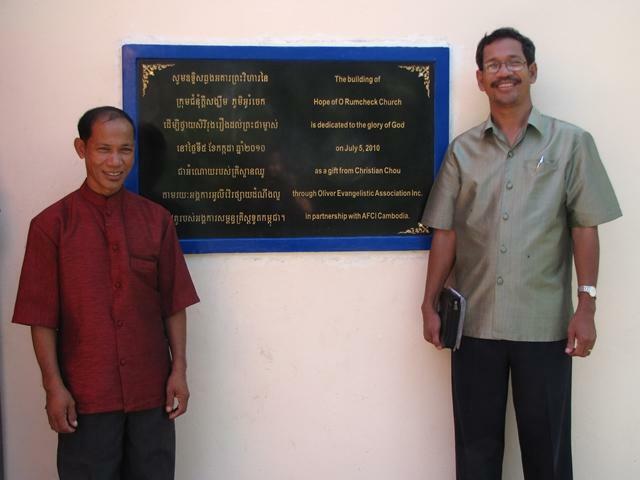 The three church building projects which were underway in Cambodia were dedicated in December of 2009. Each church is 6 meters wide by 12 meters long. Pictures of the completed churches, their dedication services and plaques are shown below. 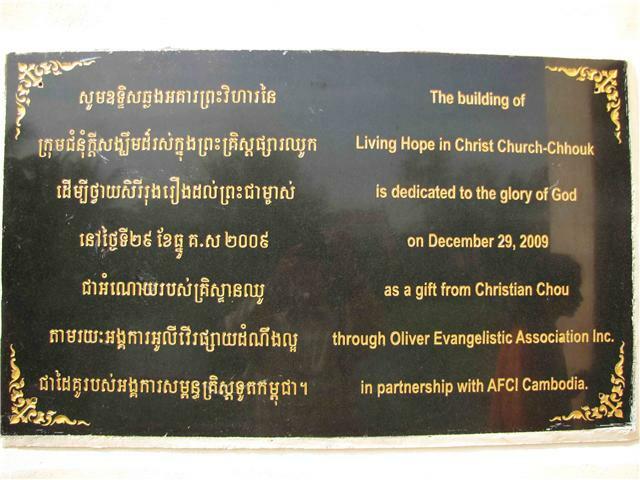 All three churches were a gift from Christian Chou through Oliver Evangelistic Association, Inc., and its partners, in partnership with AFCI, Cambodia. Barnabus Mam preached the dedication for each of these churches. 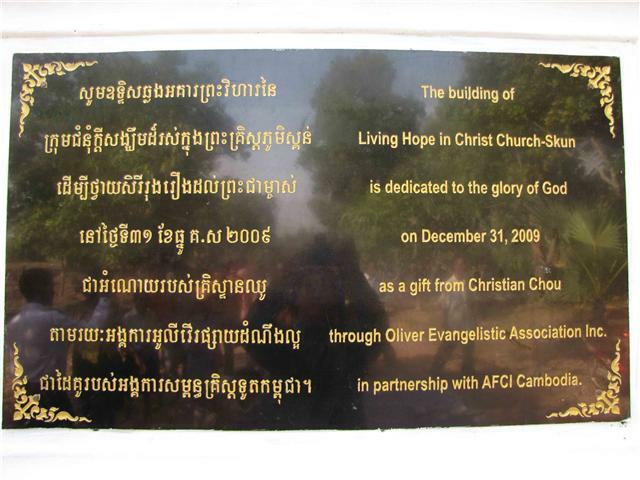 The first four pictures are The Living Hope in Christ Church-Chhouk, Kampot, dedicated December 29, 2009. The next four pictures are Peace Church-Chrab Krasang, Battamburg, dedicated December 27, 2009, and the final four pictures are from the Living Hope in Christ Church-Skun which was dedicated December 31,2009. Praise the Lord for his bountiful and miraculous provisions. Click on a picture to see an enlargement. 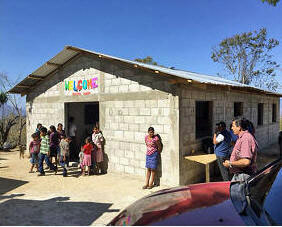 Loma de Paja Church, Guatemala, recently held its dedication. This church was funded by Faith Metro Church, Wichita, Kansas. 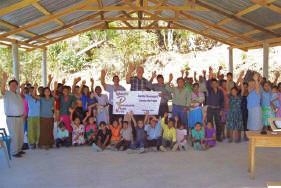 Missionary Larry Johnson is shown in the center of the first picture, with the church pastor to his right. The second picture shows the dedication service. Bro. Johnson said the pastor gave his testimony in the dedication service, saying he had been plagued with numerous illnesses for the last 4 years--one thing after another. This last month he had a dream and in the dream, he was shown there was a lot of witchcraft being done against him, causing all his problems. He was shown the place where candles and different things used to put spells against him were buried. He dug them up and destroyed them and broke off all the witchcraft that was done against him. When he was done, he was instantly healed of all the problems he had. The next day, a Christian man showed up and said that the Lord told him to come and tell him there were two men doing witchcraft against him and that they were going to bury him in a certain place and then lead the pastor to the backyard to the very place where he had dug. Later, the pastor went to one of the men and shared the gospel with him. Praise the Lord. 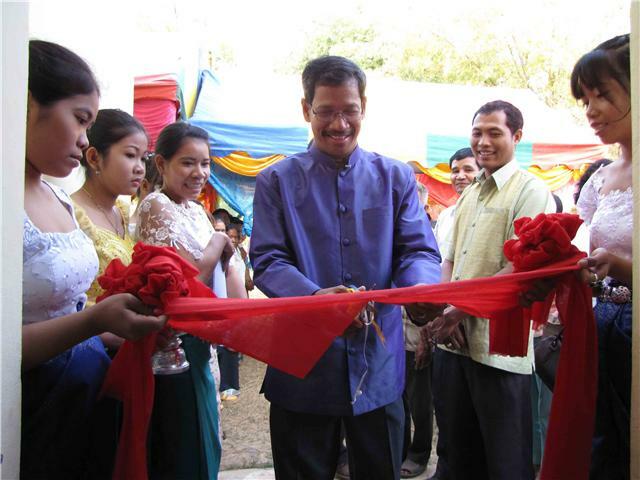 Grace Christian Fellowship Church, Calbayog City, Philippines, held their first Sunday service May 17, 2009, with 92 adults in attendance. As you can see from the updated pictures, the church is now complete. We are thankful and praise the Lord for money to build the church and for the faithfulness of Sister Carmen Geeck in leading her flock. This church is located in what is called "Typhoon Alley." That is why the roof and walls have been built to be "typhoon proof." It is the hope of Sister Geeck and her congregation that their church can also serve as a sheltering place for many people in the event a typhoon does come. Please keep her and the church in your prayers. Though the Grace Christian Fellowship Church in Calbayog City is a new church, they have already reached out to an outlying island and started a work there. It began with Sister Carmen making the two-day trip once a month, but it now has a weekly service and a Pastor. 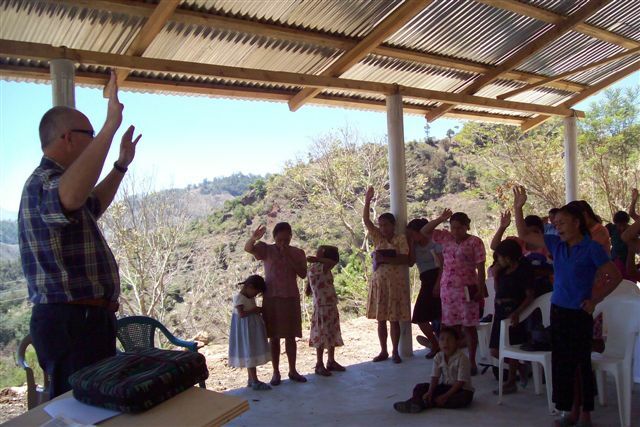 This outreach church has now started a small mission and Sister Carmen travels there for services each Sunday after church in the main location. She reports that this mission now has 25 members. 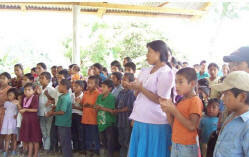 The Cup of Salvation Church, Tontoles, Guatemala, was dedicated September 27, 2008. 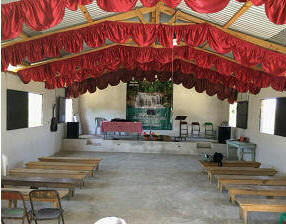 According to Missionary Larry Johnson, the service started out ministering to the 50-60 children who came, then came a time of praise and worship. The pastor of the church asked some of the new Christians to testify of what the Lord had done in their life. One young man had only been saved about two weeks, and he shared how Jesus had changed his life in just the short time he had been saved, set free of many things. Another man who had been saved 23 days testified about being set free from smoking, drinking and how the Lord cleaned up his mouth. Brother Johnson says: Then the service was turned over to me. I began to share with them about how the funds to build the church came about--the testimony of a man of God who was raised from the dead and how the name Cup of Salvation was given. They all rejoiced and praised the Lord. The Word was preached and a prayer of dedication was given. It was an awesome service; in all, we had about 200 people attend the service. 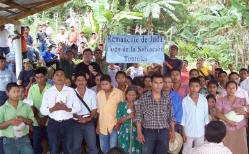 Ten adults received Jesus as Lord and Savior. The two churches pictured below--The Bread of Live Church and The House of Praise Church--have just been completed in East Africa. 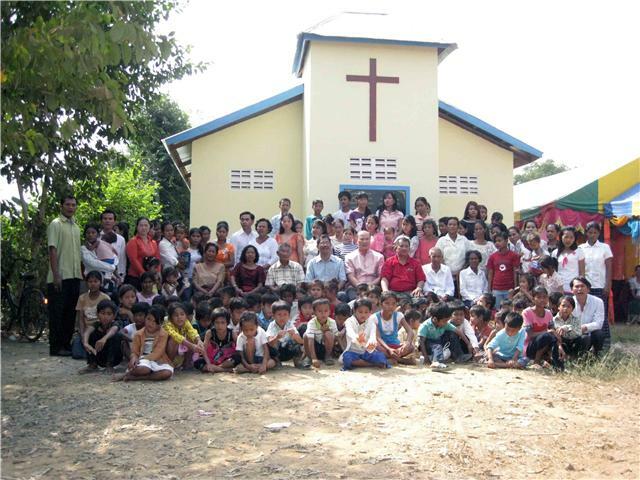 Both churches were donated by Mrs. Jo Ann Chou. 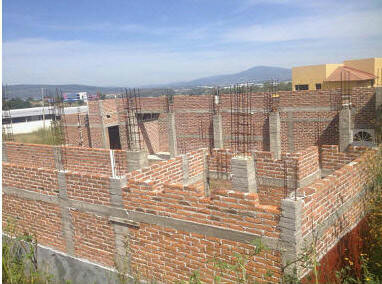 Below are pictures of the new church construction on the outskirts of Jacona, Michoacàn, Mexico. This prime property was obtained by the church when no other property was there. Shortly afterward, a new university was built nearly in front of it, increasing property values immediately. In January, 2015, they began placing the beams that we had purchased for the church. The middle picture shows the beams before they were hung. We later helped with the concrete floor. 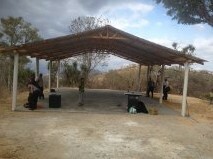 In May of 2016, the church at Achiotes, Zacapa, Mexico, was fully completed, having been dedicated earlier when it was just a pole structure. 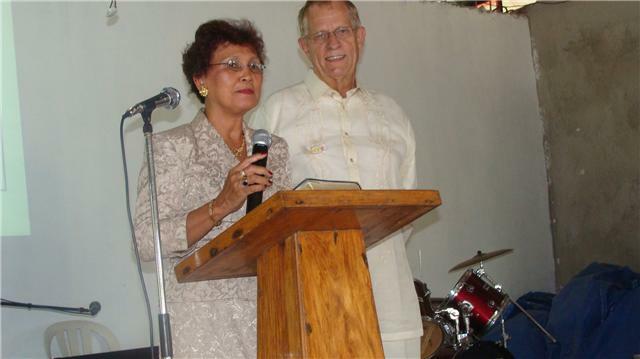 According to Missionaries Larry and Marla Johnson, the people laughed and cried as they celebrated. They recounted the story of the gospel in this village. Many had paid a huge price for the gospel. They had been macheted and shot for the gospel's sake. Many pastors came from hours away to rejoice with them, because they were celebrating the "enclosing" of the church. It was an amazing service as the Johnson's preached the God of Miracles. There was a piñata for the children and a Chicken dinner. 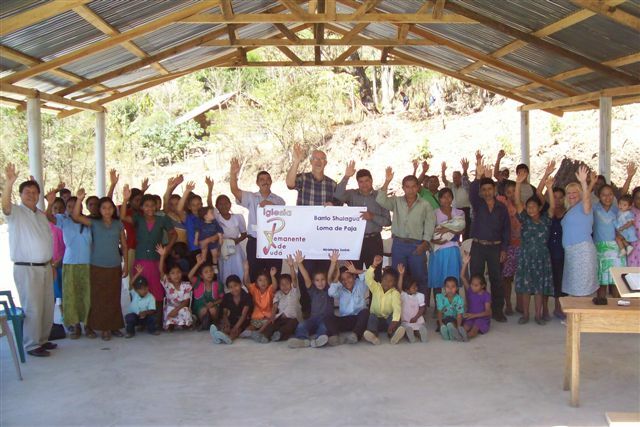 From time to time, Oliver Evangelistic Association funds projects needing to be done but which are not covered by local missionaries' and pastors' budgets. 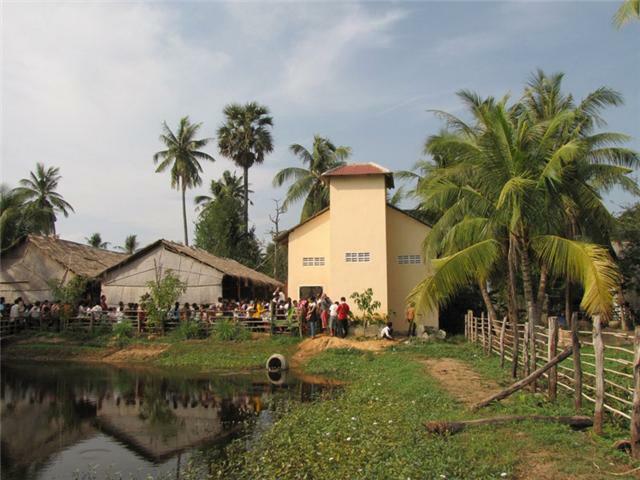 After we built the Believer's Pavilion at Pursat Prison in Pursat Province, Cambodia, Barnabus Mam, AFCI's Region Director for Asia, informed us that the prison itself had no fresh water, though there was a small pond on the grounds. That meant the prison had no fresh water for drinking, cooking, or even bathing. We immediately sent funds to deepen the pond. 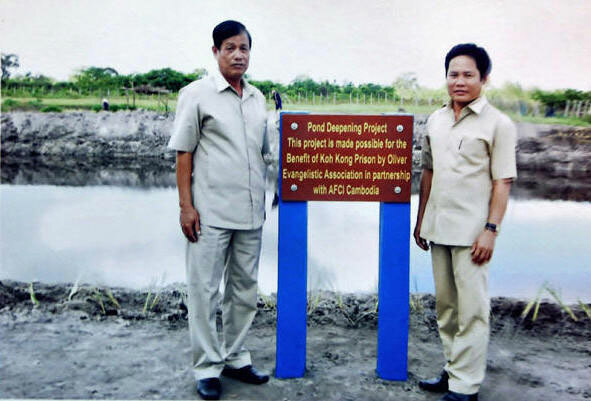 At left, General Lai and Pastor Sareun acknowledge the pond deepening at Pursat Prison, Pursat Province, Cambodia. 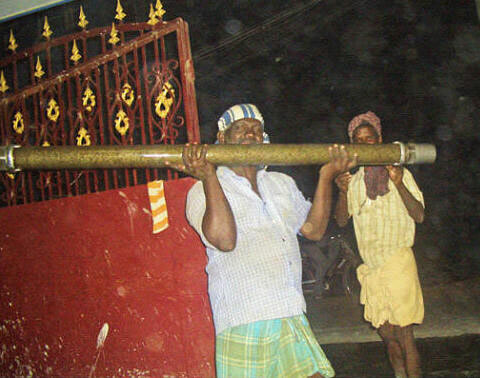 The pictures below show the well digging project in India. 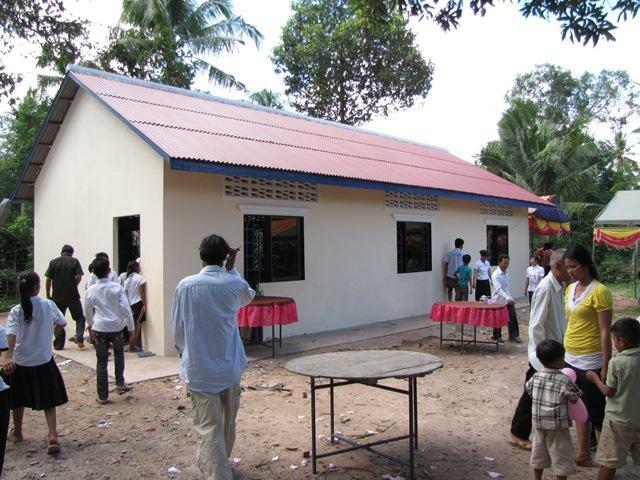 Dr. Samuel and Anna Karunanithi sponsor two orphanages in Madurai and Chennai, India, with 30 orphans in each. Dr. Karunanithi is also a board member of Oliver Evangelistic Association and mentioned that they were raising funds to dig a well at one of these orphanages. We were happy to help with this crucially needed endeavor. 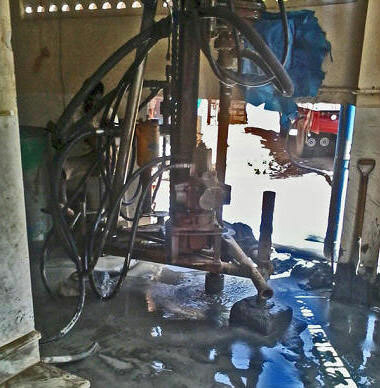 The first picture shows the actual well digger, the second, workers carrying pipe for the well, and the last picture shows the completed well, November of 2014. 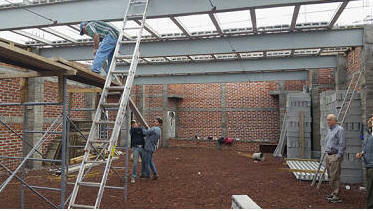 As churches and other projects are completed, we will post their pictures on this site. Thank you for your help if the Lord leads you in this direction. there are few who share his inner experiences, he's forced to walk alone. he is often silent and preoccupied in the midst of noisy religious shoptalk. of old, keeps these things in his heart. Solomon's Secret - I know that what Dr. Oliver has written comes our of many years of study of the Song of Solomon -- and much time with the Lord, where He has revealed Himself in its pages. I have also spent a lot of time over the years in that book -- and the Lord is using Solomon's Secret to take me to a "new Level" of understanding of myself, of Him, of my relationship with Him and where He desires to bring me. The book is so "rich" with nuggets to meditate on that I have been using it for a few months in my devotional time with the Lord. I have also enjoyed it so much that I have ordered some extra books to pass on to others whom I knew would love it just as much. I have given a copy to my pastor, and she loves it so much that she is sharing nuggets from it at our Wednesday prayer meeting, and now she wants to give copies out to other members of our fellowship. A. D., N.J.